Hobby Lobby 12201 W Markham Little Rock, AR 72211. Call today to confirm your attendance! Jan 14th at 10am-12 noon at The Barner's, 607 Gander Cir, Bridgeville, PA 15017. Call today to confirm your attendance! 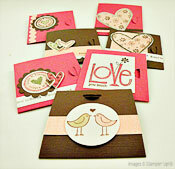 Join me as we make 30 handmade love notes with a convenient carrying box to share this Valentine’s Day. 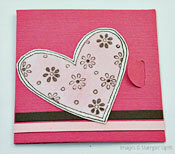 Forget the store bought brands from mega-stores and instead share the creativity of making your own love notes with your children and friends. 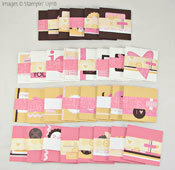 You’ll be amazed at how quickly these notes go together using Stampin’Up! 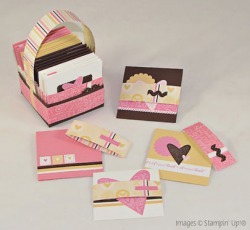 Simply Scrappin’ Kits. The kits are budget friendly and mom and kid approved. 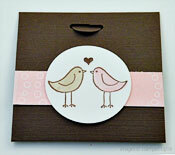 Share the love with classmates and friends this Valentine’s Day! 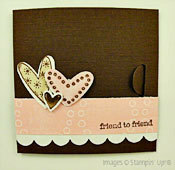 There are addtional pictures of the cards and other options shown below. 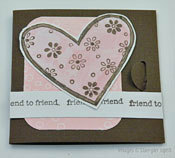 RSVP 2 weeks prior to the class by calling Ellen at 877-410-6575 or emailing at gratefulstamper@aol.com.